Have you ever thought about going on safari for your summer break? I love the idea of a safari, but in reality, I'd probably be bitten by insects and spend the whole time being stressed that I might get eaten by a lion! Okay, well how about embracing safari chic instead? Effortless glamour and not a lion or a wildebeest in sight! Sound more up your street? Yeah me too! 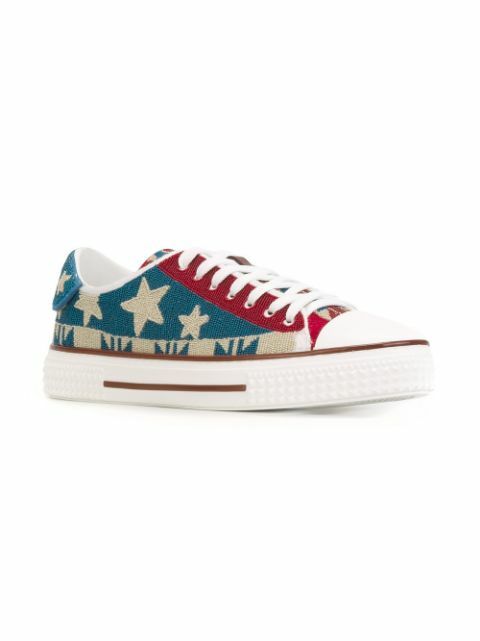 Lucky for us, Farfetch have got us covered by throwing summer's latest trend into the spotlight. Safari chic had never really entered my consciousness (apart from a doll that I used to own who had a killer safari jacket way back when!!) until I visited a Yves Saint Laurent exhibition last year. Yves knew style and if it's good enough for him, it's certainly good enough for me, after all he believed just like mademoiselle Chanel that 'Style is Eternal'. So channelling Yves, Coco and the amazing people at Farfetch, I've decided to throw together some looks that work that effortlessly cool safari vibe but that mean you'll never need to be near Africa (unless of course you want to be!) to stand out from the crowd. 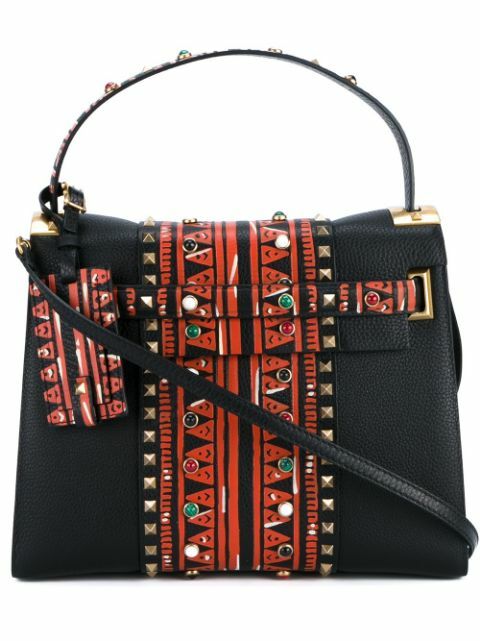 Could you feel any more out of Africa in this beautiful piece? This screams Safari chic to me and would work perfectly at home or on holiday. I'm going to give you three looks to choose from for styling this piece, all using Valentino accessories to stay on theme with the infographic. You want an outfit like this to make a statement all on it's own, but with Valentino you're always guaranteed to stand out from the crowd. 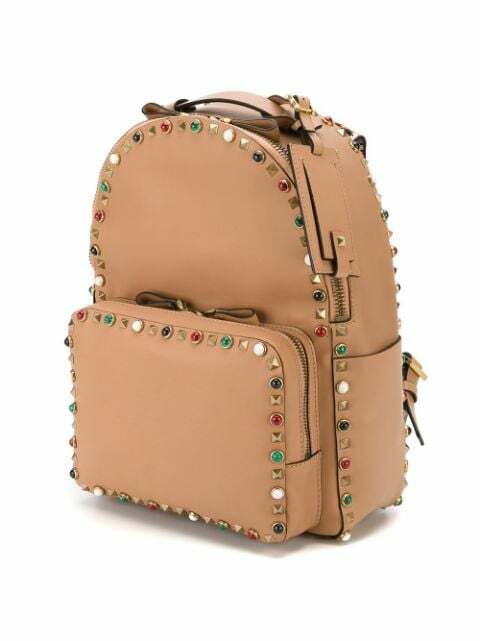 Valentino Garavani Star Sneakers as trainers are everywhere this Summer and this absolutely gorgeous Valentino 'Rockstud Rolling' Backpack which features elephant print on the straps-what could feel more safari than that? Valentino Garavani 'Love Latch' pumps instantly glam up the playsuit look. Add this amazing (swoon!) 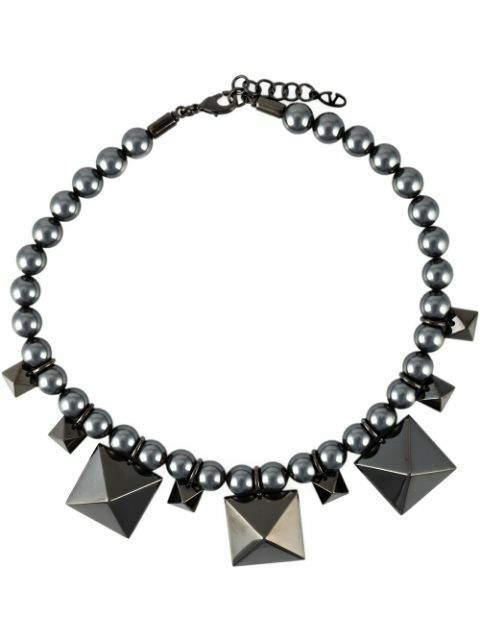 Glam Lock shoulder bag and these rockstud accessories (chain and cuff) and you're all set. 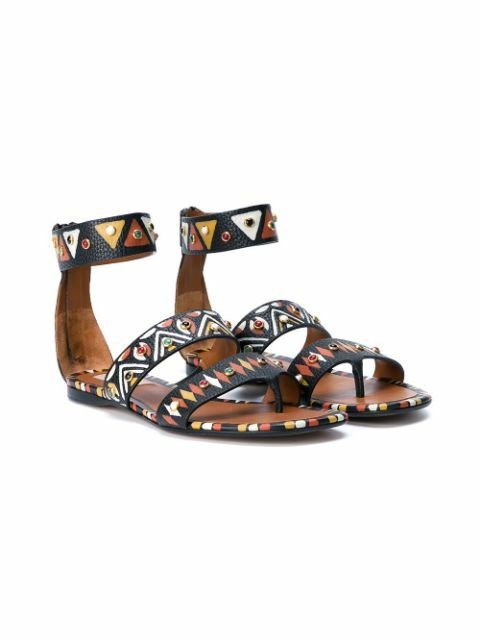 The very tribal hand-painted thong sandals and embellished tote are perfect for channelling an African vibe. Pair with this floral bracelet and Rockstud sunglasses for added glamour. I'll definitely be using this as my style inspiration for my summer holidays! 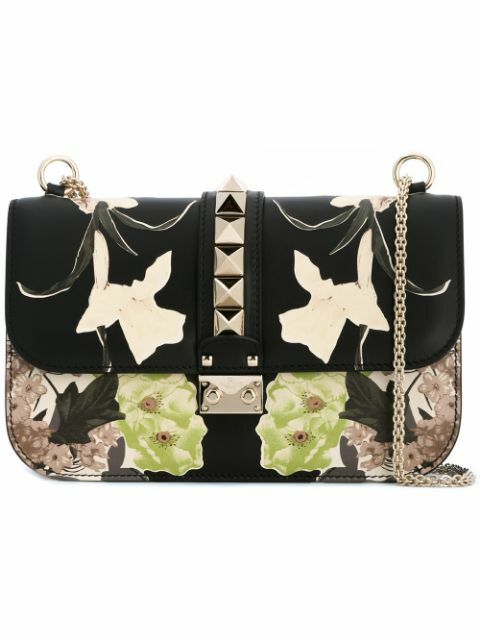 Breaking away from Valentino (even though I love Valentino!) I decided to hunt around Farfetch for the perfect safari inspired piece that summed up my style and boy was it tricky! 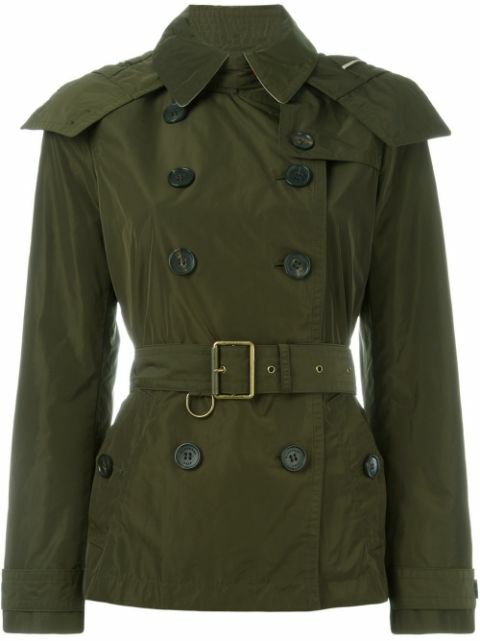 In the end I went for this beautiful Burberry Brit Trench. The khaki colour and style really lends itself to that old school safari jacket look, but I'm a sucker for a trench (I love tailoring!) and find that I tend to wear mine whatever the weather! 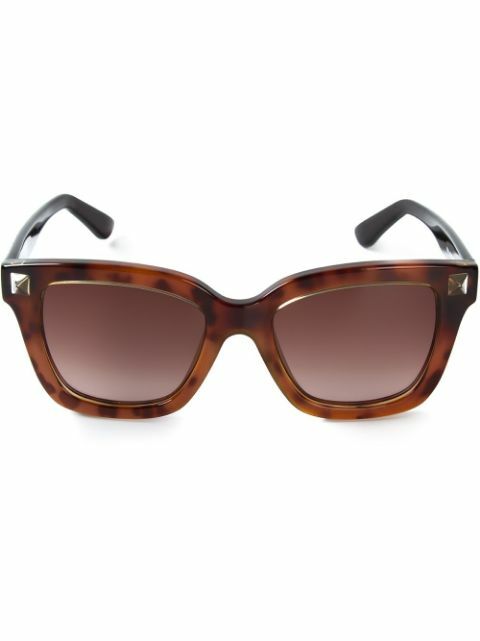 Not quite summer chic, but perfect for a Burberry loving gal like me! This post is my entry for the Farfectch content pack blogger competition. I really enjoyed styling the looks and absolutely love Farfetch so want to thank them for asking me to take part! All featured looks are currently available from Farfetch at the time of posting and all images are copyright of Farfetch.